We’re getting set for a trip to the zoo this week! I have one excited little girl who has been guessing the animals she may discover there, although I think a unicorn is being rather adventurous! ;-) With this in mind our 5 reads this week are all about the Zoo. 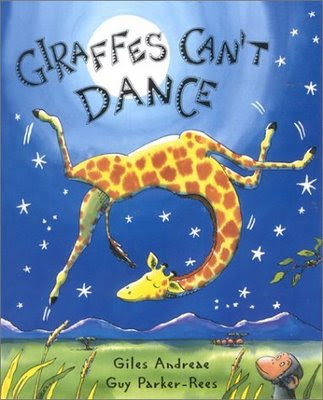 “Giraffes Can’t Dance” is filled with a fun rhyming text & a great message. The book tells the tale of a giraffe who thinks he can’t dance, but after a little patience & support from a friend he turns out to be a fantastic mover! The bright humorous illustrations are a big hit with Minnie, & the subtle message running through the book reminds us that we’re all different, & although we may not succeed first time, if we persevere & look for new ways, anything is possible. “Dear Zoo” is a children’s classic & one which Minnie has read over & over. The repetition of the text is great for encouraging children to read along, & the lift-the-flap illustrations are bright & fun to discover. A great way too to explore the variety, shapes & sizes of animals that may be found at the zoo. “Welcome to the Zoo” is a wonderful children’s book full of imaginative & beautiful illustrations. It has no text, but the pages are packed with detailed illustrations which you could spend hours studying as there is so much going on! You could follow the zoo keeper & his attempts to catch a stray ostrich, or follow a balloon as it blows around the zoo. Great for encouraging imagination, discussion, & storytelling. “Busy Zoo” has a simple rhyming text which follows Keeper Katie around the zoo as she looks after all the animals there. With several flaps to lift on each colourful page there’s a lot to keep all ages engaged in this simple storyline. Well we had to include our favourite elephant! 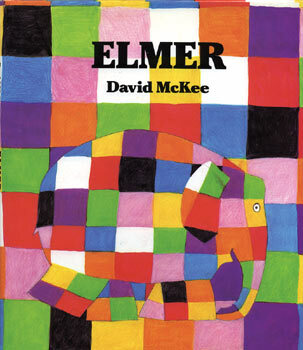 :-) "Elmer" is another modern children’s classic with a great subtle message that it’s ok to be different. A fun, colourful read, that is be sure to raise a smile, especially when you get to the last page. Minnie chuckles every time we read it. I’m sure these will be travelling with us in the car as we head for the zoo, & on our other journeys too!